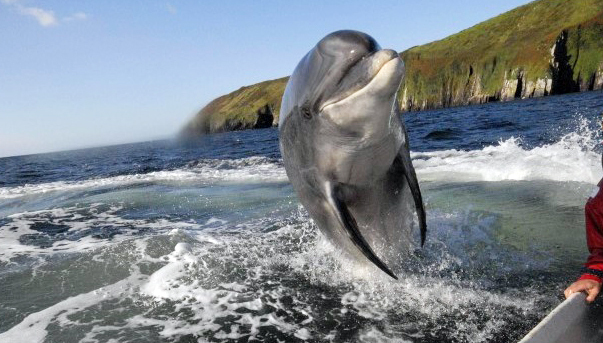 Swim with Fungi – In the early 1980s, Dingle fishing crews began to notice a solitary bottlenose dolphin that followed their vessels, jumped about in the water and sometimes leapt over smaller boats. When an American tourist offered to pay a boatman to take him to visit the large, friendly dolphin, an industry was born. 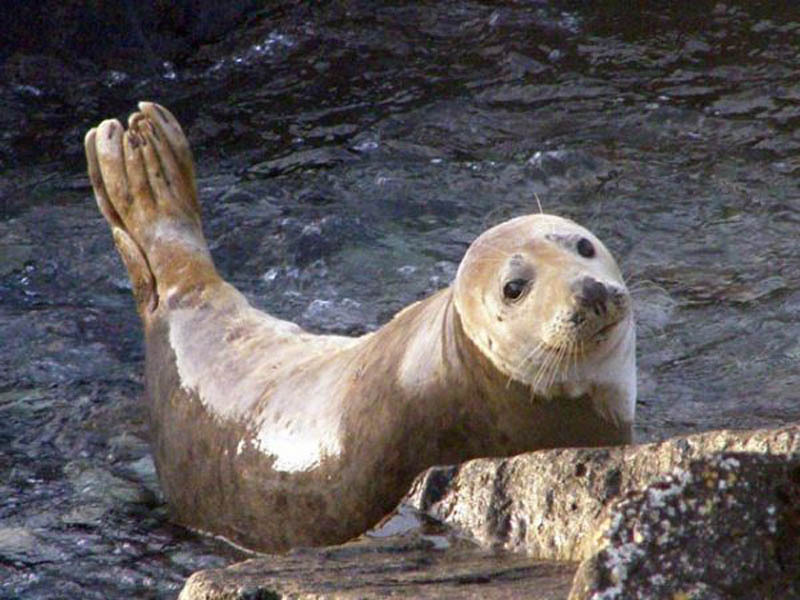 Eleven boats now go out every day in the summer, and the Dingle dolphin is an international celebrity. 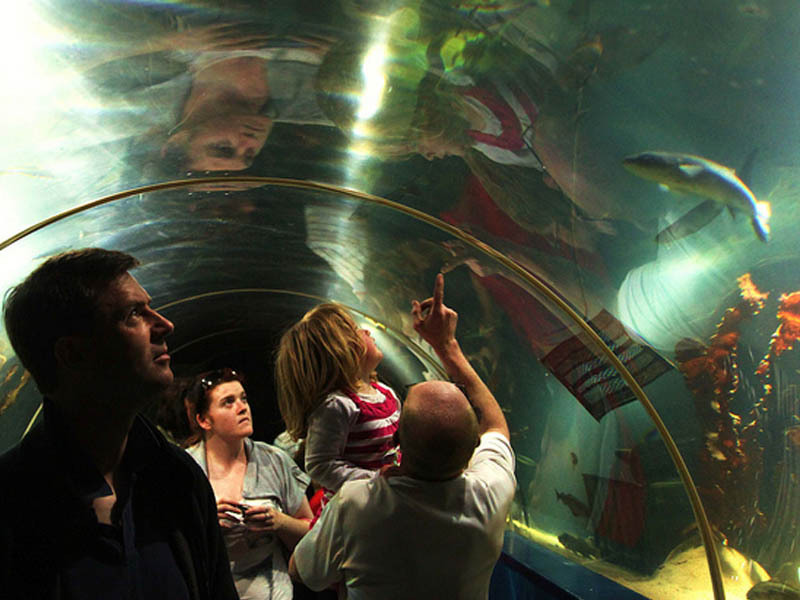 Oceanworld Dingle – Enjoy the fascinating Underwater World of the Atlantic at the Dingle Oceanworld Aquarium. 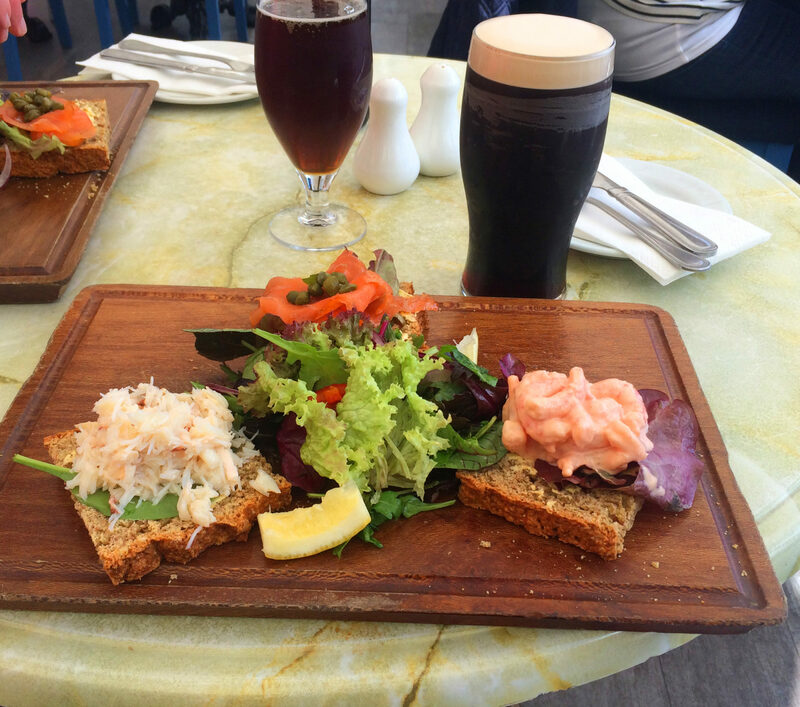 Of course, there is much more to do in Dingle, such as enjoying the wonderful cuisine both world-wide and local (freshly caught fish from the harbour) and, of course, the great night life with traditional music nightly and mighty craic. 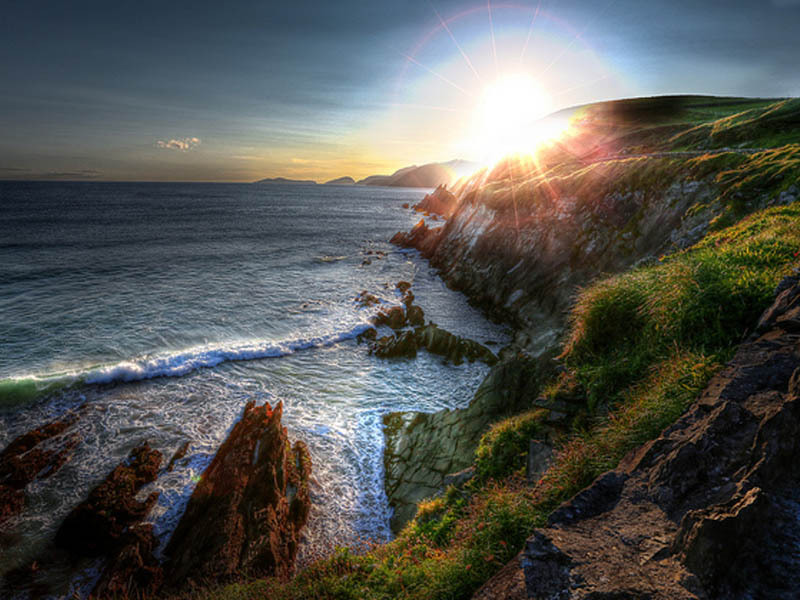 Founded in 1924 Dingle Golf Links (Cheann Sibéal), is the most Westerly course in Europe and the peninsula’s only 18 hole links course. 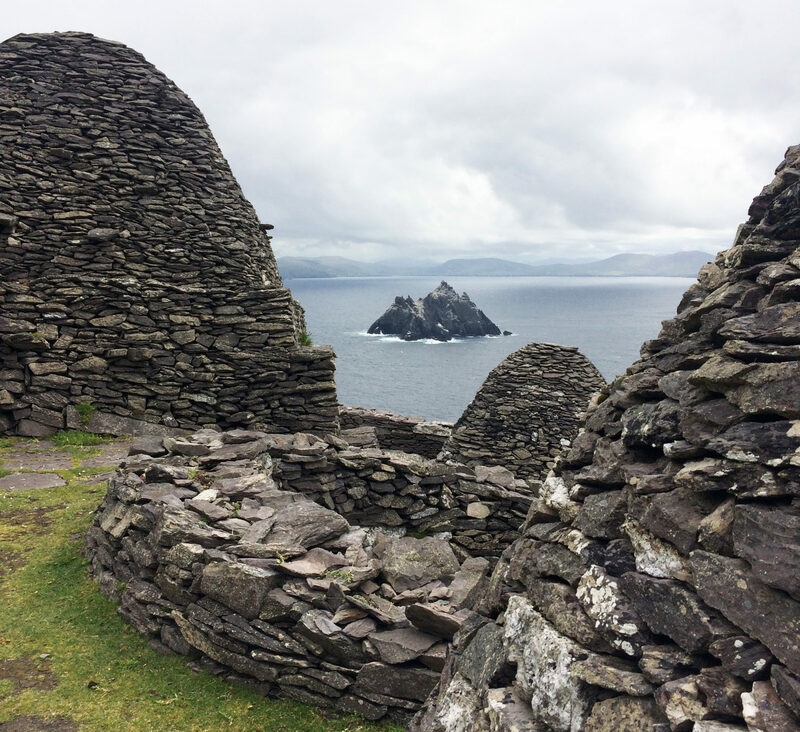 It is a mere 15 minute drive from Skellig View along the Wild Atlantic Way. Each hole is carved from the natural landscape, with the Three Sister Rocks towering behind the course and the sea crashing against the cliffs just below. 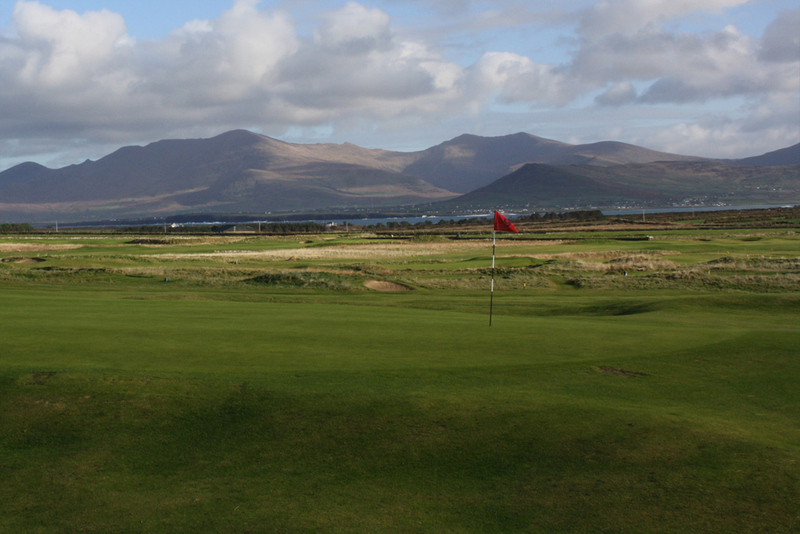 If the legendary giants of Irish lore played golf, this might be where they’d play. 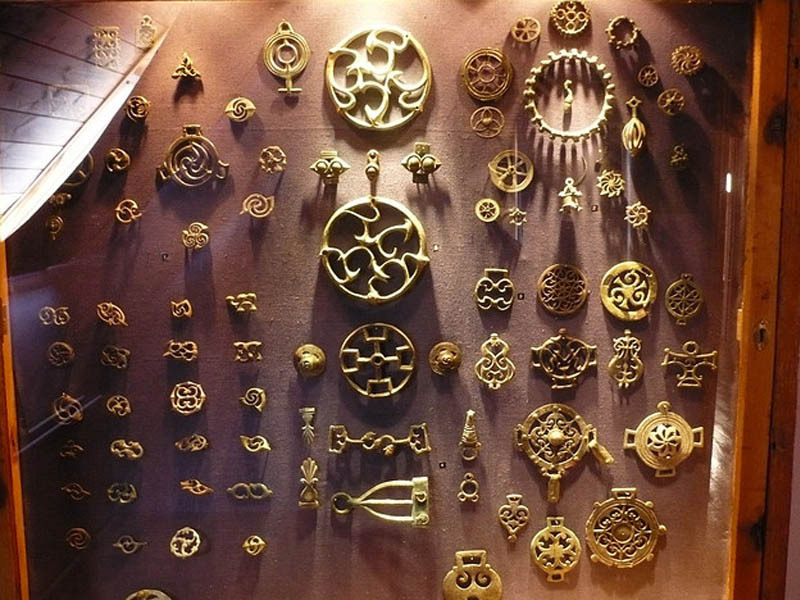 Celtic & Prehistoric Museum – which is well worth a visit on the Slea Head/Kilvicadownig route. 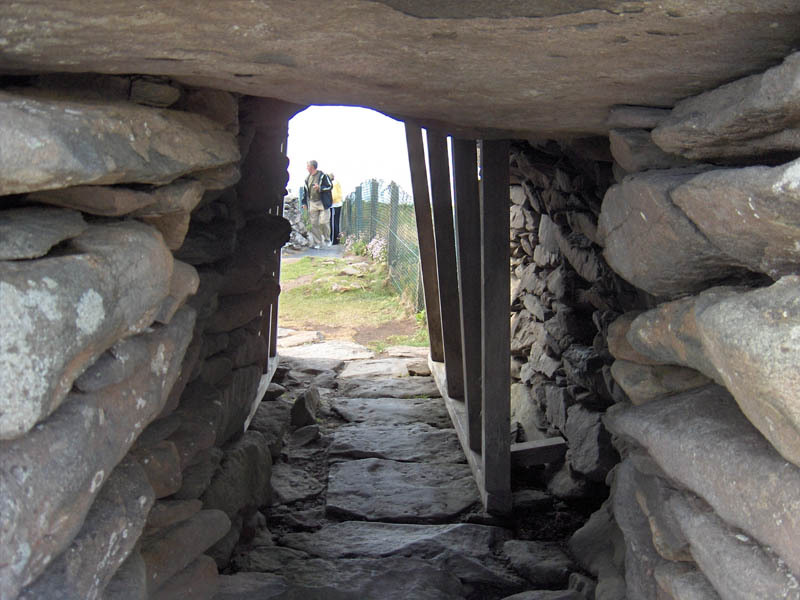 Dunbeg Fort – History with a cliff-side view on the Slea Head/ Fahan Ventry route. 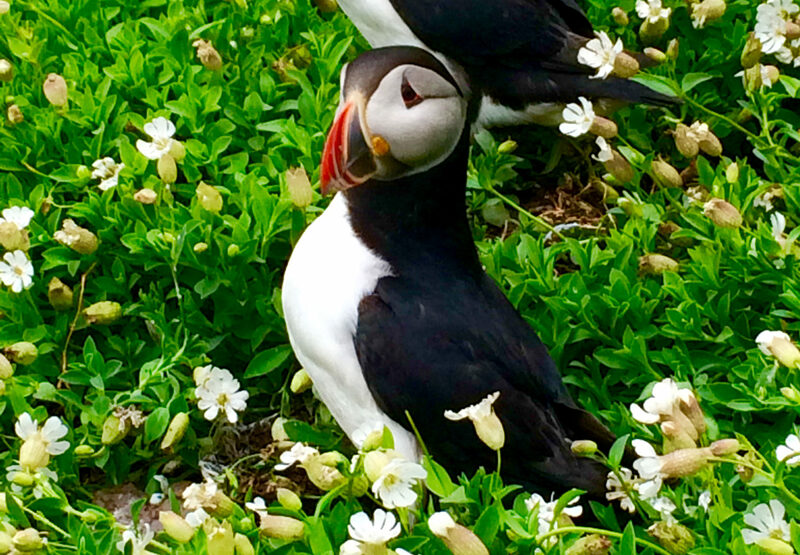 There is much more to do and see, too numerous to mention, such as fishing; boat trips; horse riding on Ventry strand; a visit to Rahinnane Castle or the near-by bee-hive huts; a visit to the local Louis Mulcahy pottery workshops, and also the local Brian de Staic jewellery shops, and much much more. If you just want a relaxing holiday why not just sit in the conservatory or garden and soak up the wonderful scenery and local ambience.